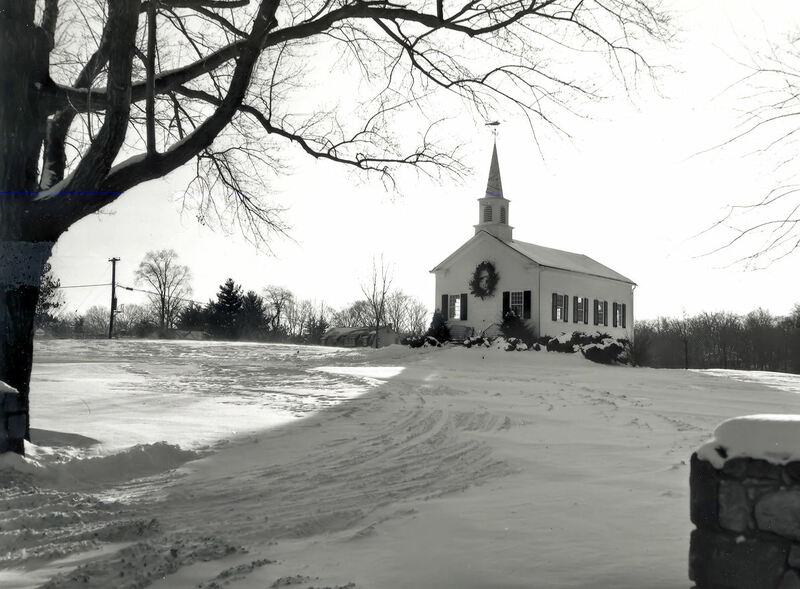 Our small white clapboard church was originally erected in 1845 on a small plot of land about one mile south of its present site, close to Dingletown Road. It was pasture area and the designation of "dingletown" was derived from the tintinnabulation of the many cowbells in the surrounding fields. The people who built the church had been meeting to worship together as part of the Bedford circuit for fifteen years without a permanent gathering place. The congregation was known as the Methodist Protestant Church at North Cos Cob. On November 26, 1845, the first meeting of the Horse Neck Society of the Methodist Protestant Church, with Ransom Ballou as the new minister, took place in the church. In those days, Sunday service was not only compulsory with punishment by fine for non-attendance, but also an all day affair! The church structure, which is considered to be the oldest frame church in Greenwich if not the oldest church building in town, was built with unpeeled or roughhewn logs for main floor support beams and bent saplings for the curved ceiling supports. One can still see the original stone wall and steps which led to the structure on Stanwich Road. Other than a list of twenty-two ministers who served the congregation from 1845 to 1921, the history of the church is relatively unknown. In 1921, Dr. Albert Lunning presided over the Methodist Church. The interior of the church was heated with a pot-bellied stove, lit with oil lamps and pewter candle sconces and the music was provided by a pump organ to the right of the pulpit and a choir in pews to the left. Instead of the present steeple, a cupola perched on the roof. One still approached the church by horse and carriage over a dirt road. One month after the death of Dr. Lunning, the final Methodist service of the church was held on November 3, 1935 and the church was closed. On January 29, 1936, the building and land were purchased by Dr. William Darrach to ensure its preservation as a New England landmark. During World War II, trips by back country families to town were curtailed due to gas rationing. Therefore, sometime in 1942, Dr. Darrach reopened the church building as a local place of worship. It may have been at this time that the church became known as the Dingletown Church. As there was no minister, lay members of the congregation took turns preaching the sermon and conducting the service. Then, in either 1949 or 1950, the Reverend Harold Buckminister became the acting minister and worked diligently to revive the small community church. Unfortunately, Reverend Buckminister died unexpectedly soon after he had sparked interest in the church. The church trustees then turned to Yale Divinity School to supply young, energetic students as preachers for the services. As much as this was a valuable resource to the church and wonderful experience for the students, only an ordained minister could perform the sacraments, such as baptism. In 1957, one of the students, Jeff White, was ordained by the congregation of Dingletown Church upon his graduation. The church continued to grow, but with success came space issues which could not be resolved on this tiny piece of land. Therefore, a momentous decision was made to physically move the church building if a nearby proper site could be purchased. 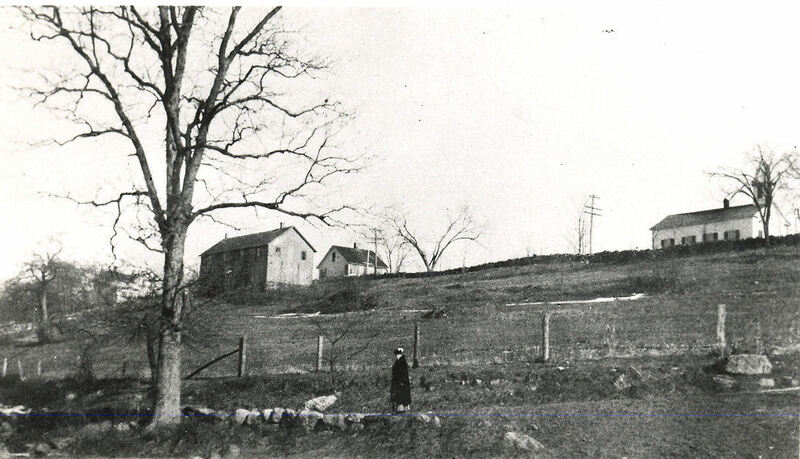 On July 16,1957 a corporation was established by the name of The Dingletown Community Church, Inc., as land had been bought on the corner of Barnstable Lane and Stanwich Road. The building itself was purchased from the Darrach family and the title was obtained. The church was ready to go! 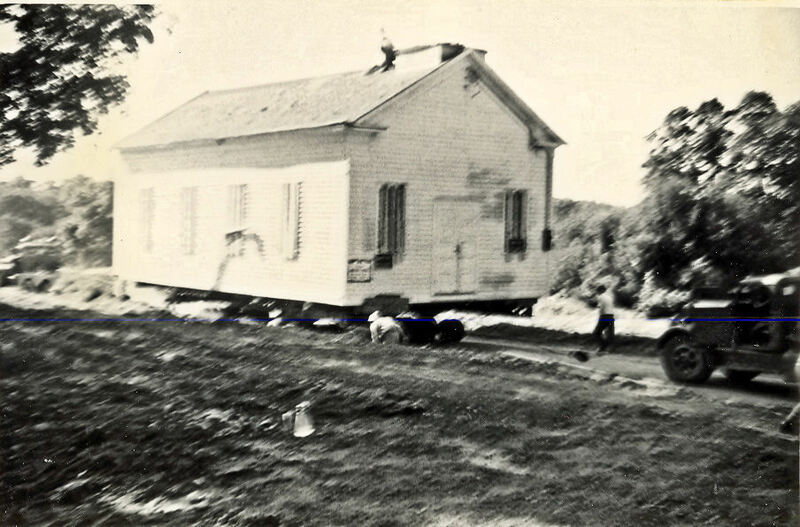 On August 13, 1959, the buildi ng was jacked up on rollers, the cupola was removed and trees were cut to accommodate the task of transporting the church up the road to its new foundations. Set on top of a beautiful rise, the beloved church was then the recipient of house-warming gifts from its members. One donated the steeple to hold another's gift of a bell which came from a locomotive of a Maine railroad. Members rebuilt the stone walls and planted the large maple trees along the south side. Then, as now, each person gave a personal gift of time and devotion to benefit the church. After the minister, Jeff White, left the service of Dingletown Church, a succession of Yale Divinity School Ph.D. candidates filled the position of pastor over the years until more permanent ministers remained with the congregation. One man, the Reverend Harry Adams, presided for 17 years. Following Reverend Adams, William Baugh served for 10 years, followed by the Reverend Martin Montonye for five years. 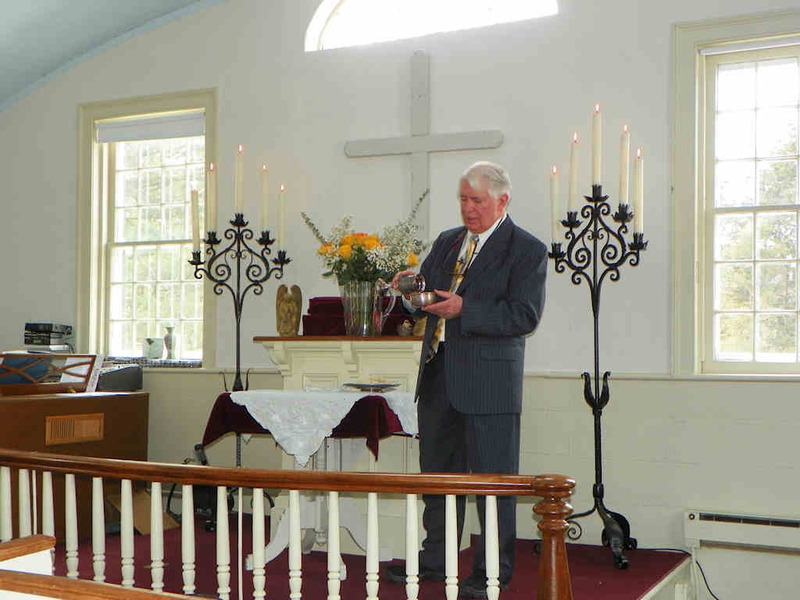 Dingletown Community Church is blessed to have The Reverend Dr. Thomas Leutner as our present minister. Dingletown Community Church continues its over 150 year mission as a community church serving its neighborhood and beyond. It provides a place for nondenominational Christian worship in a simple yet dignified setting and a minimum of ecclesiastical structure which might interfere with one’s own personal program of worship. Through our pastor it provides an opportunity to hear cogent and inspiring sermons with relevance to our own lives and society's problems. It is open to all, of any religious persuasion, and invites all to come join with us for Sunday worship.